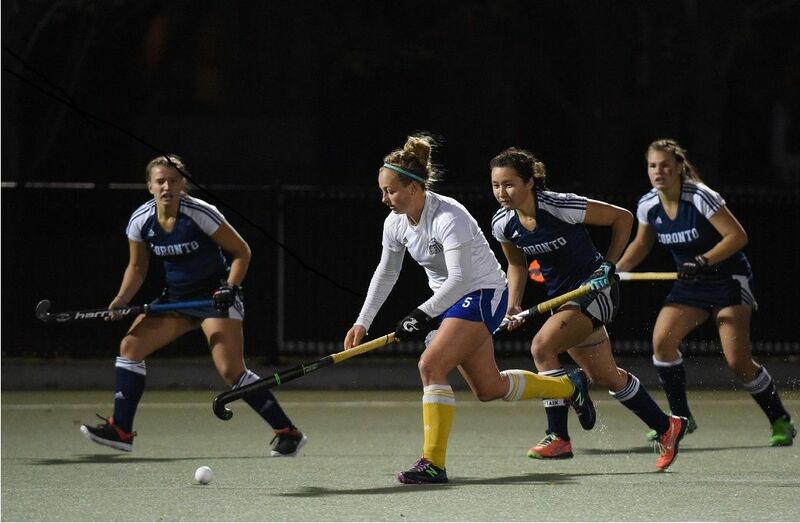 The Canada West silver medalist Victoria Vikes opened the 42nd CIS field hockey championship with a 4-2 victory over the Guelph Gryphons on Thursday evening at the University of Toronto’s Back Campus Fields. Victoria, who have competed at 35-of-42 national championships, notched their seventh-ever win over Guelph on the national stage. It was the 11th time in as many appearances that the Gryphons took on the Vikes. “I just saw a bit of an opening between the defenders so I took it and then there was one last player who I wasn’t sure if I could get around but I did and then everything just worked with my shot,” said Cole after the game. “We treat every game like a must-win game and for sure this was. Guelph is good competition but this win definitely helps us for the rest of the tournament. The Vikes dominated the play in the first half and had numerous chances to score, but it wasn’t until the 32nd minute that the Gryphons would break the deadlock. First-year midfielder Kendra Puttick of Waterloo, Ont., sped into the circle and sent a booming shot towards the net, where 2016 U Sports co-player of the year Olivia Lane was there to tip it in. Guelph was up 1-0 at the half. Victoria responded quickly and evened the score as third-year defender Kristina Walters-Shumka (Victoria) sent a booming shot past Gryphons goalie Morgan Kelley (Milton, Mass.) off a penalty corner in the 40th minute. Three minutes later, first-year forward and Hilversum, Netherlands native Cilia van Nierop put the Vikes ahead with a shot from deep in the circle. The Gryphons responded though as Lane notched her second of the game off a penalty corner two minutes later, but Cole would come up with the game-winner and 2016 U Sports all-Canadian Amanda Kruianowicz added an insurance marker in the 60th minute to round out the win. 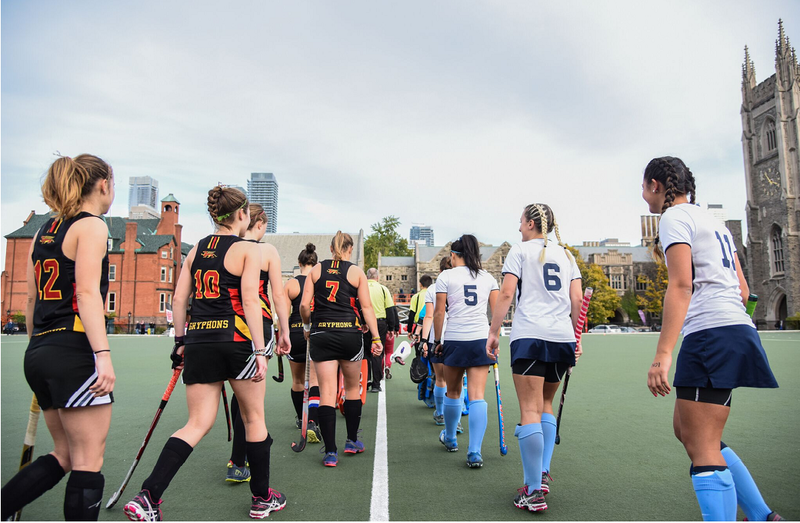 Next up for the Gryphons (0-1) is a tilt with a Toronto Varsity Blues (0-0) in a repeat of last Sunday’s OUA final tomorrow at 6:30 p.m. The Vikes (1-0) take on the top-seeded and five-time reigning national champion UBC Thunderbirds (1-0) in an all-Canada West battle at 4:00 p.m. Both games will be streamed live on SportsCanada.TV.